Aditya Deendayal, Executive Director, Aalankrita Resorts and Spa,ISO Certified 4 star Resort and Spa speaking about the spa culture and how more and more people are going in for it,says "Yes, the number of customers have definitely increased in the recent past,with the stressful lives that most live lately.The client segment now is very different to what it was once upon a time.Almost 50% of the clients who now visit the spa are well aware of what the treatment is and select one which they have full knowledge of.What is also very peculiar is that many clients come and ask for treatments for anything particular such as back massage,stress relieving massage or foot massage." 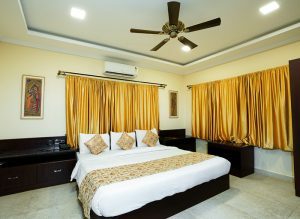 Aalankrita holds the distinction of having been awarded innumerable times by various individual organizations and the Andhra Pradesh Government for its impeccably maintained resort and facilities.Knowing this verywell,Iquestioned Aditya, "What is the main reason customers come to you? Is it treatment or pleasure?" 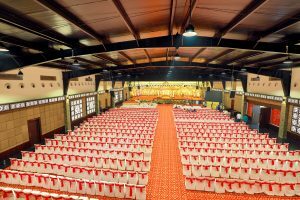 And pat came the reply from him, "I would say first our ambience,then our hospitality and lastly an experience on completion. I would also say a mixture of both,but mostly for pleasure.Our spa couple usage has exceptionally increased over the past." So,is the current boom reason for more spa opening up or is it because more spas are openingup there is a boom? "There definitely is a demand for spas in Hyderabad. I think the main reason for many spas opening is the fact that people today want something where they can relax and go away from the maddening world. There definitely is a demand for it, but invariably the best only will survive as the clients visiting today are well aware," says Aditya and adds in the context of Ayurvedic therapies compared to newer ones like stone therapy , aromatherapy etc., "I would say all the treatment have got some benefits attached to it. If you see the clientele who use any of the said therapies you will see that the older generations usually go in for Ayurvedic while the younger generation is specific oriented and know what they want. They mostly opt for Ayurvedic as itis a tested and proved process.Even doctors recommend it. The younger generation like change and want to experience everything."." 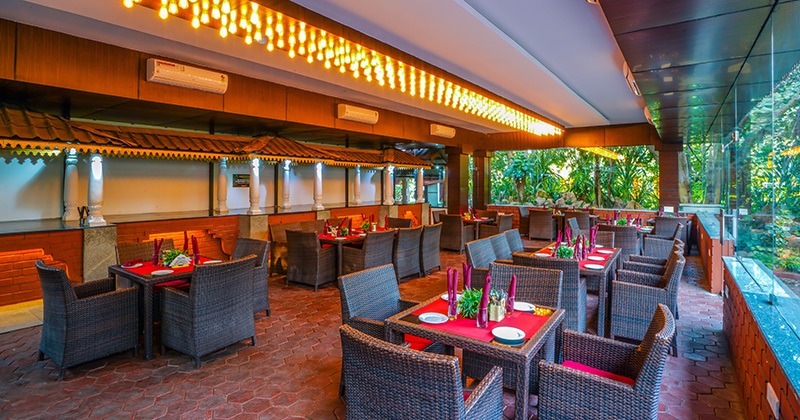 "For a truly romantic evening or quite literally like tagline ‘an ethnic getaway’ head to Atiroopa: one of the most romantic, fine dining options that the resort (or the city too!) extends. 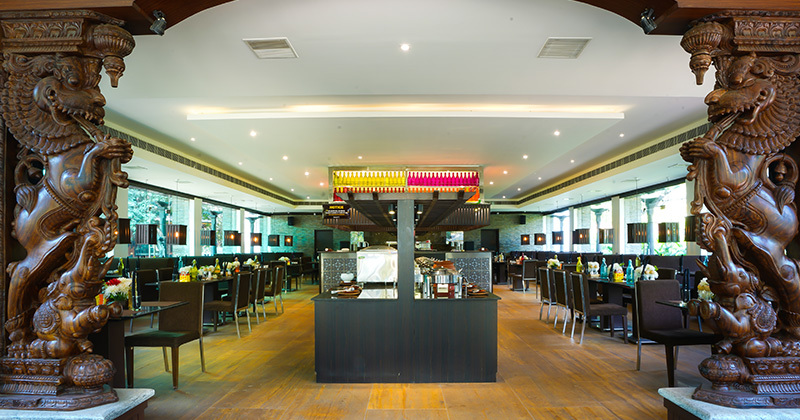 It is a vintage venue that sizzles your senses to explore the finest if cuisines from around the world. 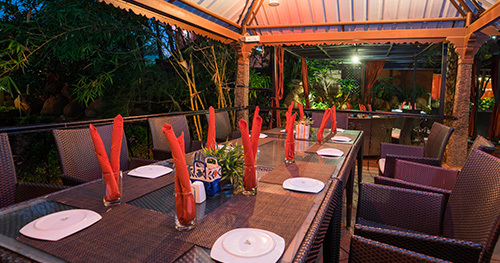 Along with the sumptuous food offerings, a well stocked bar completes the meal." "Hi Aditya, I love the new look of your website! It looks awesome! Congrats for that!" "I had stayed in Alankrita for couple of days with my professional colleagues.. To our surprise, the resort was just the opposite of the place one can have for a meeting. Each & every part of resort is much closer to nature. Every room bears nostalgic touch of our good old village. Excellent food & service.Value for money.Best suitable for family,couples or even solo"
"Stayed at Aalankrita resort for 2 days. We really enjoyed our time there right from the reception to check-out. It was a beautiful place. Over all A place for everything and everything in its place!!!!" "we’ve been to this place several times with family and friends….and one should definitely like this place for its ambience, service, food and for overall management……Quality of food is amazing"
"The Aalankrita resort was a serene getaway from the bustle of Hyderabad… a chance to unwind and practice yoga and meditation, and be pampered by Ayurvedic massages and other spa services that soothed the bodyand mind. Plus, the food is superb!" "The mere name of this most heavenly,most calming,relaxing resort brings a smile onmy face, as its my most favourite resort in India, without a doubt! I have been going here from the first year of its creation, and I have taken numerous family members and close friends from across the world. Each time I have had a most soothing, memorable stay, and I drive out of the gates, looking forward to my next visit!" Congratulations to the owners and the entire staff for maintaining the same excellent quality of consistency, in the service, the food, the interiors, the decor, and the ambiance which gets more beautiful each time I visit it! "I loved the place because of its simplicity, moreover the aura was full of calmness and peace. The perfect blend of amazing hospitality, delicious food and lively environment provided the touch of eternal bliss that I was looking for. 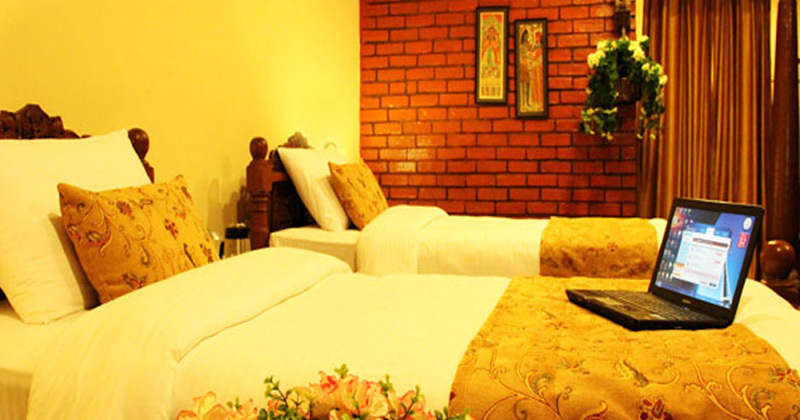 The ambiance of Alankrita is a perfect romantic get away for couples"
"Superb Website! Neither words nor pictures can truly describe the beauty of this place! Wah Aalankrita! And the food…. really food for the Gods!" "Excellent place to spend special occasions with special ones, service here are excellent"
"Excellent ambience & support from all the team, perfect for parties we will come back again soon. Thank you." "Aalankrita is certainly one of the marvelous resorts in the country. The land scaping. The diversity of maintenance and the architecture of the buildings are excellent. A beautiful place for the weekend outing. Thanks to the management and Aalankrita Staff." "Good service with excellent attention and service oriented. Extend the same to continue." "Arrangements are very perfect, staff service was excellent we had a pleasing & wonder full experience." "Good and timely service, Excellent Ambience and arrangements. Thank you"
"This is our third visit to the place and we simply love the place and the food." "Truly fantastic experience. It made us feel that we are in heaven on the earth. Would love to visit again this heaven again and again." "A wonderful ambience a beautiful location where all should experience at least once." "I will be surely paying more visits. It was my first and surely it was impressive the scenic location adds more to the ambience. Sweet sowmp was good. Aalankrita rockzz." "It’s an excellent experience here I would recommended colleagues at delloite Hyderabad"
"It was a very pleasant one stay and enjoyable one everything was kept neat and clean." "Your House keeping maintenance is excellent this maintenance is maintained continue"
"The food presentation was good chocolate sizzler was become a favorite food for us good." 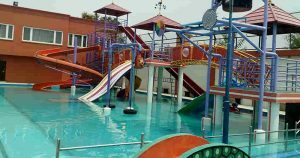 "The overall satisfaction was good The Team have real & good fun. Thanks"
"Very good surroundings The place could be extended The service was very good There was immediate response from them." 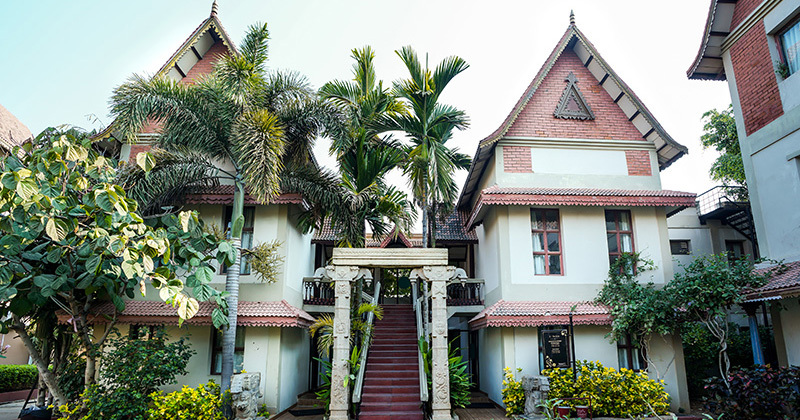 "It’s good and nice to see the Aalankrita Resorts our team enjoyed a lot like to come again." "Service I must say excellent. Staffs are really courteous I will never forget their smily faces." "The green environment and house keeping excellent service has made our stay memorable." 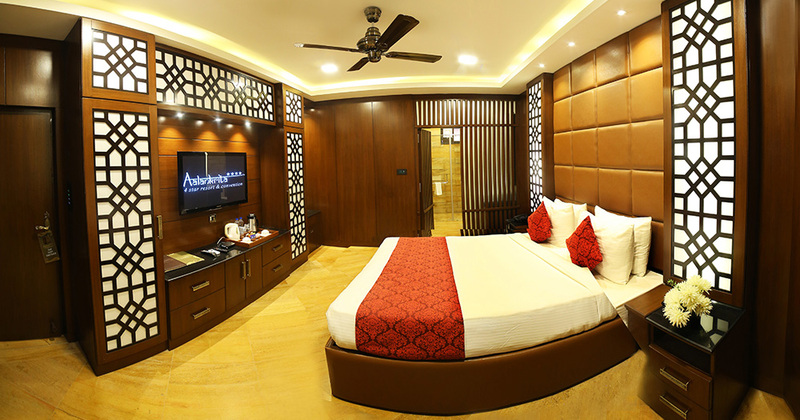 "The Resort is my “only” choice for stay around Hyderabad."